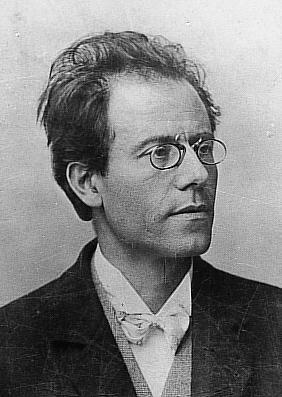 Mahler: Maddening Master, or Modernist Muse? I have a lot of feelings on Gustav Mahler. I feel like in concept I really appreciate his works and the way that they carry Romanticism over into the 20th century; the early 20th century in literature, and the transition from Romanticism into Modernism, was a particular focus of mine in college, and given that I’ve been a violinist nearly all of my life, I relish any opportunity to analyze my music using the knowledge I acquired studying English and French language and literature (my BA is in English, my minor in French). So, Mahler presents a particularly interesting quandary because while I find his works and their timeframe very interesting, I don’t really enjoy playing them – like, at all. But more on that in a second. Appearing later in the timeline of other renowned Romantic composers like Beethoven, Dvorak, Brahms, and Wagner, Mahler’s music was composed during a time of large-scale industrialization and upheaval; the turn of the century brought with it a number of great changes to everyday life, like the explosion of major population centers, economic and social globalization, new and mysterious scientific discoveries, and only a short decade and a half later (though unfortunately Mahler had already died by that point), a war that would completely reshape the entire political landscape and send shockwaves throughout the entire century. In literature, these uncertainties and fears are expressed through themes like a fixation on the juxtaposition of country and urban scenes (for example, a poet focusing on a small flower growing through the cracks in the sidewalk of New York City’s subway), or later, the empty, fathomless ennui provided by the senseless and gruesome death of millions. Perhaps it could (arguably) be said to be easier – or at least more accessible? – to present these heavy, complex, and nuaced ideas in writing, but Mahler certainly lends voice to a generation of those who bridged a gap, and experienced a major shift in...well, just about everything. On account of the time period in which he was composing, Mahler’s sound is very distinctive from, say, Beethoven’s whose career, much like Mahler’s, straddled the transition between two major time periods of classical music. Most orchestral musicians with some level of experience would probably be able to tell the difference between, say, Beethoven’s Pastorale Symphony from Mahler’s Titan after listening to a few bars. It’s just a different animal all together: the instrumentation, the textures, the key signatures, the chord progressions, and so on. The roots of modernism have already began taking hold even within Mahler’s earliest symphonies in his juxtapositions of old and new – “Frère Jacques” makes a strange, morbid appearance in Titan’s third movement, tied to a Bohemian gypsy melody – and as you progress through his symphonies, they begin to depart farther and farther from the Romantic cannon, both in structure/form and content. Unfortunately he did not live long enough to see his work come to fruition in the public eye, but even then knew, at least to a certain extent, that what he had accomplished (especially in his symphonies) was supremely profound. But back to my original point: I respect Mahler as a composer (obviously; I just wrote a mini-essay on him), and appreciate greatly what his music is and its impact at the time (even if people didn’t appreciate it then). However, I just can’t bring myself to like playing his music! I feel so strange even typing that; every time I’ve ever mentioned this fact in front of other string players (we don’t talk about my dislike of any romantic composer in front of brass players, who tend to look especially scandalized) they are absolutely astounded, and proclaim that they just love, love, love playing Mahler and oh, he’s just so great! Then it’s usually my turn to look at them strangely: why? Why do you love to play Mahler? His string parts are not typically the melody, or even melodic for that matter. As my beloved teacher described it, the string players “scrub” most of the piece while the brass and woodwinds trade off beautiful melodies. I do like playing other Romantic-era composers in which strings don’t typically get the melody, so that's not really the issue at hand; I’ve genuinely enjoyed playing pieces by Wagner, Tchaikovsky, Dvorak, Brahms, Beethoven, etc., even the brass-heavy ones, and have found the accompanying parts to be difficult, but rewarding. Maybe it’s owing to the fact that there’s a certain logic and near-predictability within these composers after having played them a bit (and oh do you play them a bit, especially in college orchestras), but I just haven’t felt the same “groove” in practicing Mahler, both at home and in rehearsal. I feel the challenge, but not the reward. I don’t find myself lost in the music in rehearsal (other than when I get lost following the music, which happens more often than I care to admit); instead, I find myself hoping that we’ll change pieces soon because my arm is tired and my left hand is cramping and I’m sick of holding this harmonic for 30 bars and is this piece SERIOUSLY not done yet?! However, when I listen to Mahler’s Symphony 1 (which is what my orchestra is currently playing), I find myself amazed at the expansive sound, the fullness and richness of the harmonies, the engaging melodies (seriously, “Frère Jacques” as the basis of the slow movement – still trying to wrap my head around how he made that happen) and just how big the orchestra sounds. I sincerely wish this feeling continued with me into rehearsal, let alone my own practice. I’ve rarely suffered this kind of disconnect in my playing career, and it’s strange. Frankly, there are a few composers I’ve found in my career that I love to hear but absolutely hate performing: Ravel is one, because while I find his music beautiful and the effect is impressive (ha), I just don’t particularly love playing two bars of 16th note scales in B major in one bow for two pages. I guess Mahler is getting added to the list, but I still feel strangely about it, like a nagging guilt that I should like him more within in my own playing. That poses the question, then: have you, fellow violinist, ever found a composer or piece that you objectively like or appreciate, but hate playing? Ravel and Mahler are on my don't-like-to-play list, too. You can add Vivaldi, Puccini, and R.Strauss, too, for incredible boredom for the second violin section. Puccini has an annoying ability to repeat phrases indefinitely yet it isn't obvious to listeners since they are tuned in to the vocal parts. Barber's Adagio For Strings wears out your bowing arm with multiple measures per bow but it is one of the most moving pieces ever written. As part of the over-50 crowd, composers and arrangements are disliked if they aggravate arthritic joints, cause drifting off during a performance, have too many sequential chromatic runs of 64th notes, or have too many fortissimo portions in the brass section allowing loss of even more of one's hearing as they blast away into one's ear. Ever wanted to threaten the first trumpet with stuffing a shoe into his or her horn? But I digress....there are many composer's music that I dislike playing but LOVE to listen to but it all evens out at the end of a performance! Very nice summary of Mahler and his place in (musical) history. Mahler 1 is the only symphony of his I've played, under a very uninspiring conductor, and the only concert performance which broke down completely and had to be restarted (in the finale), so I can't say much about playing Mahler. I do recall some concerto accompaniments which were not much fun to play (Tchaikovsky being one) - too 'bitty'. And Strauss waltzes are somewhat dull for the second violins (I can take or leave them as a listener). I have, however, had the opposite experience - enjoying playing music which I don't care to listen to. Rachmaninov (I can't stand his music - sorry) Second Symphony was the most memorable. Also Brahms 2 (I've always struggled with Brahms for some reason) was one of the most rewarding pieces I've ever played, and a piece by for strings by Lennox Berkeley which I would be happy never to encounter as a listener. "I respect Mahler as a composer …. However, I just can’t bring myself to like playing his music." I can relate to this. My ambition to become a symphony nerved me to take up violin as a kid. At age 7, I would sit alone in the living room on Saturdays and listen FOR HOURS to symphonic recordings in my parents' collection. But later, as a performance major, I found that the very music I'd loved as a listener -- Sibelius, Tchaikovsky, Wagner, Puccini -- put me off as a player. BTW, Mahler 1 was among the first scores we worked on. The technical challenges in these scores didn't deter me -- I was up to them. It was the decibel levels, especially in post-1850s music, that put me off. All that noise grated on my nerves -- well before it reached the danger zone. Brasses and percussion really pushed me over the edge. At 21, I decided not to do any more orchestral playing -- I was finishing school and had more than met the semester-hour requirements for orchestra anyway. I still love listening to orchestral music -- and no doubt always will. As a player, though, I prefer solo recital material and small-chamber work.